For many of us, our wheels are our pride and joy, and the last thing we want is anybody tampering with our car or even trying to steal it. 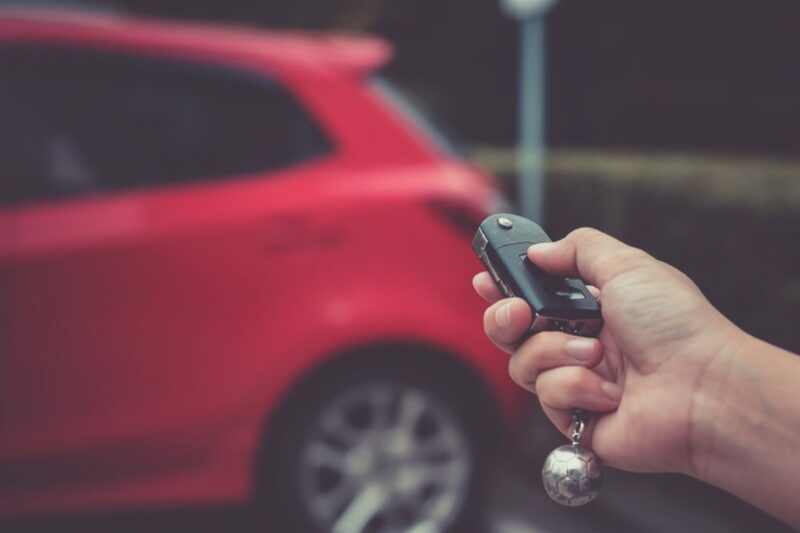 If you are looking to protect your vehicle from potential thieves, you may be thinking about installing security – so here are the best car alarm system picks. When it comes to car alarm systems, one of the best-known and most trusted names is Viper, a company that has been making these systems for many years now. This version is a three-channel, one-way alarm system. This means you can secure your vehicle using the remote control, but you won’t receive a notification if someone is tampering with it. The system allows for keyless entry into your vehicle and comes with two four-button remotes. The alarm itself is a six-tone soft chirp siren that can be synchronized with the car’s horn for extra sound levels. Other features include a bright blue LED to warn potential thieves that your car is protected and to give you information about the system’s status, and an anti-carjacking panic alarm. When you start the engine and begin driving, the system locks the doors automatically; when you stop, it unlocks them again. We like the level of sensitivity with this system – it won’t be triggered too easily, but it will be triggered when it needs to be. The key fobs are good quality, and this is also a very reasonably priced alarm system. This is another car alarm system from Viper that represents an upgrade on the system mentioned above. It is a one-way system with two key fobs that offers keyless entry and is designed to fit any car. The system features a two-stage shock system that protects the doors, the trunk and the hood, as well as engine immobilization capability. If it detects ay tampering, it activates a six-tone siren. Another feature is the flashing parking light to let you know the status – whether armed, disarmed or triggered. There is also a diagnostics and event reporting function. It also includes a pair of two-wire universal power door lock actuators. Bear in mind that if you don’t have power locking, you will also need to install a relay module, which needs to be purchased separately. Overall, another reliable yet reasonably priced one-way car security and door locking system from Viper, featuring 900 MHz Spread Spectrum Technology (STT). This alarm system and remote start device, again from Viper, is a significant upgrade on the previous two systems we’ve already looked at. This is a two-way system that comes with two fobs. One is a two-way HD color wireless remote that alerts you if someone is tampering with your vehicle, while the other is a five-button one-way remote. The range of the remotes is up to one mile. This system also gives you the ability to start your car remotely, again, from up to a mile away. The key fobs are quite large. Although they are good quality and well-made items, some people might find them a little large and clunky. Another issue is that the buttons are quite sensitive, so you may need to be careful not to press them by accident. Otherwise, this is a very effective system that is easy to install and does the job it was designed for extremely well. If you want a two-way car security system from a trusted brand like Viper, this one could be worth considering. This is a simpler but highly reliable entry-level one-way alarm system, yet again from Viper, that also offers keyless entry to your vehicle. It is a universal system that can be fitted to just about any model of car. It includes two four-button transmitters and clone-safe code-hopping technology as well as a flashing parking light. Another bonus feature is the comfort closure that automatically closes the windows on some – although not all – models of car. The system includes a six-tone siren, and you can also choose to have the starter or other aspects of the vehicle interrupted in the event of your car being tampered with, as per your own preferences. If you are looking for a reasonably priced, more basic car alarm and deterrent system than a two-way option, this could be a good pick. It is simple to operate and does what it was designed to do extremely well. This is a very reasonably-priced, simple and effective car alarm system and keyless entry device. It works at a distance of up to 984ft and features central door locking and a shock sensor to detect if somebody is trying to tamper with your vehicle. If the system detects any interference, it sets off an 80-120db alarm system. It also features an anti-carjacking function. Another useful addition to the system is the car parking warning alert. Once the car stops, if a door is opened, the indicator lights flash for 15 seconds to warn any other drivers to pay attention when passing you. Overall, a good option for an entry-level system that will help keep your car safe when you leave it. Bear in mind that professional installation is recommended. Another budget-friendly car alarm system that includes two three-button one-way metal transmitters and a six-tone siren. The shock detector is a dual stage sensor that also has a city mode, and the transmitters work up to a distance of 500ft. The system can be used to lock and unlock doors remotely – but only if you have power locking. If not, you will also have to install an actuator to benefit from this function. One of the advantages is that this system is relatively easy to install. It is possible to install the system without professional help, although some people might still prefer to have it installed for them. One possible downside is that the sensor is very sensitive, so you might end up having a few false alarms. Another is that the siren is not very loud – although you can rectify this by connecting it to the car’s horn. Overall, another good option for car security. 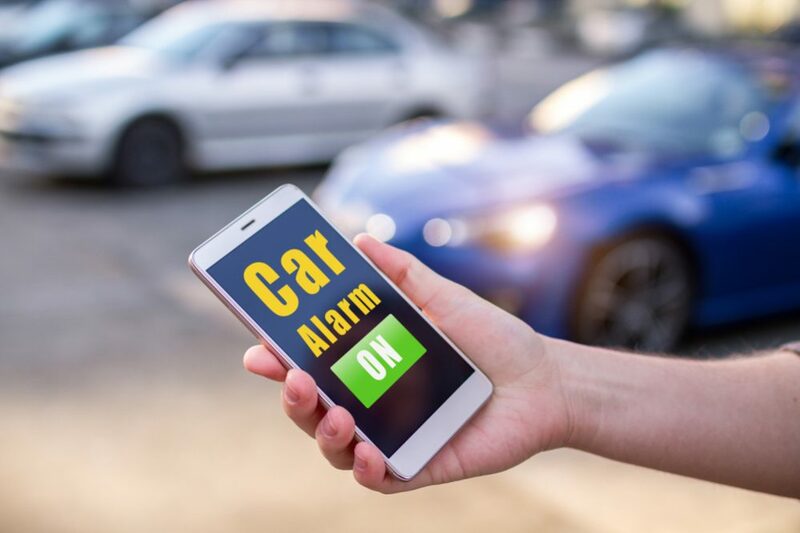 This is a high-quality two-way alarm system that helps keep your car safe from unwanted intruders and also allows you to lock, unlock and start your car from distance. The range offered is up to 3,000ft, much further than many other comparable systems. The system includes an advanced shock detector, and you can add door, hood and trunk sensors to ensure that nobody is trying to gain access to your vehicle from any point of entry. A siren with 105db+ output is also included with the kit, ensuring that if anybody tries to enter your car, people nearby will be made aware of it. It comes with two key fobs, one of which features interactive LED controls – when you use them, there is a visible and audible confirmation that your commands have been sent, received and carried out. This is a very advanced, slick and intuitive system that is designed to keep your car safe, give you peace of mind and allow you to control aspects of your security system from distance. This would make an excellent choice for someone looking for something more sophisticated than just a basic one-way system – and for the quality of this system, it also represents great value for money. This is an advanced alarm system that is packed with useful features. 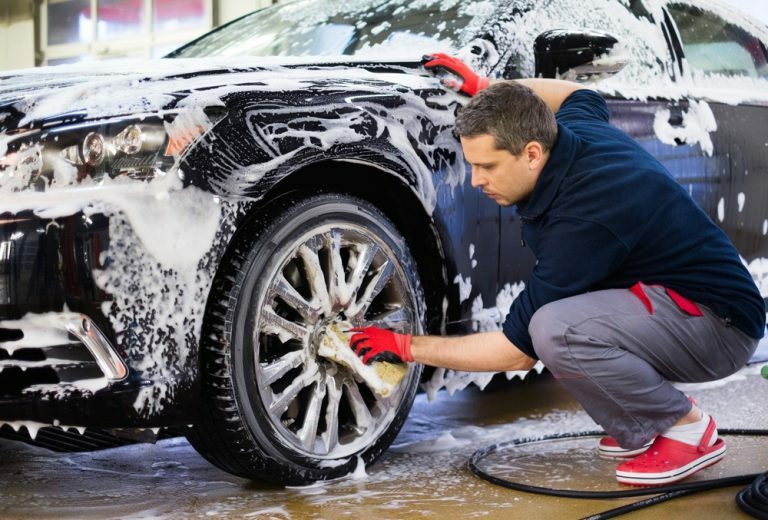 It is a universal system that is designed to work with most car models – bear in mind that professional installation is required so you shouldn’t try to do it yourself unless you are qualified. Features include an intruder alarm, keyless entry, remote engine starting and push-button ignition for extra convenience. It features the latest security features, including code hopping, RFID technology and touch password entry backup. Other useful features include valet mode, anti-carjacking function, panic mode, mutable alarm and remote trunk release (although this may require extra equipment that needs to be purchased separately). The system can be used to control the central locking automatically, and it is also possible to use it to automatically close the windows – this feature may also require the installation of additional equipment. One particularly interesting feature is that the system automatically locks the car when you walk away further than a short distance, but then also unlocks it automatically when you come back. This is an excellent feature that prevents you from forgetting to lock your car when you leave it. Overall, a classy security system that is easy to use and is full of practical, convenient features. Highly recommended. If you are looking for the simplicity and ease of use of a one-way system but don’t want to compromise on the level of the safety of your vehicle, this system could be well worth a look. 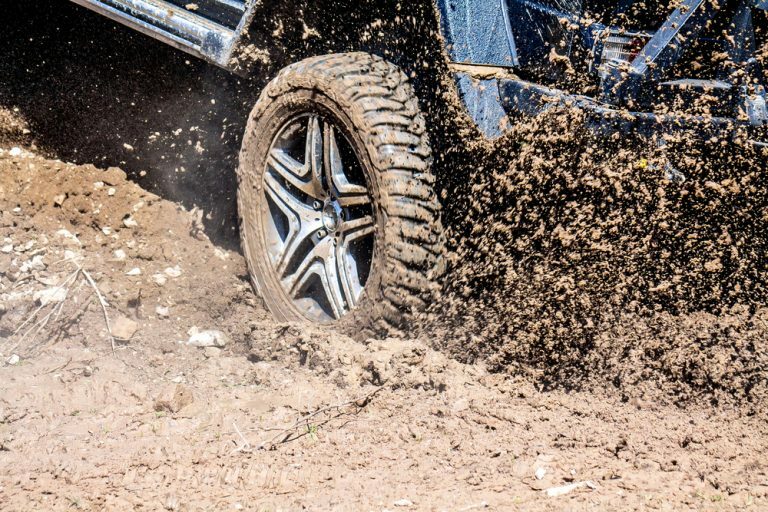 It features sophisticated technology like the Stinger DoubleGuard shock sensor to determine whether somebody is attempting to tamper with your vehicle. It also includes the Revenger six-tone siren to warn off any potential thieves and make sure it attracts everybody’s attention. For extra peace of mind, it also includes the Failsafe Starter Kill that disables the vehicle in the event of an attempted theft, to prevent the vehicle from being driven away. Any potential thief will be made fully aware that your car is protected thanks to a bright red LED light. The system also includes a flashing parking light. The system includes two three-button transmitters that control the system, allowing you to arm or disarm the alarm as well as lock or unlock the doors remotely. While this system might lack some of the features associated with the more sophisticated high-end two-way systems available, as far as one-way alarms are concerned, this is one of the best. Another recommended product. This is a sophisticated two-way, four-channel alarm system that boasts a range of up to one mile, an easy to understand LCD display and some of the slimmest key fobs available. The system features very simple controls. The pack includes one fob with LCD display and another with five-button controls. The fob will let you know if anyone is tampering with your car, and when you return to your car, you will also receive an event log, informing you of any shocks, etc. The system includes door and trunk triggers and also allows you to start your car remotely. One neat feature that you don’t find with many systems is that you can also find out the temperature inside your car remotely before you reach it. 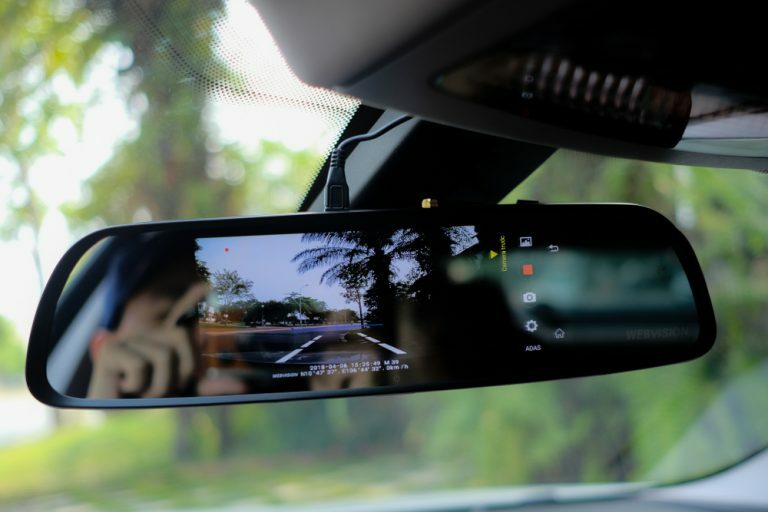 The system is also SmartStart compatible, meaning you can connect it to your smartphone and control the features via an app. You can also use the same system to control two different cars. If something triggers the alarm, you will be alerted via the remote. You can also choose to disable the actual in-car alarm, only receiving the remote alert. 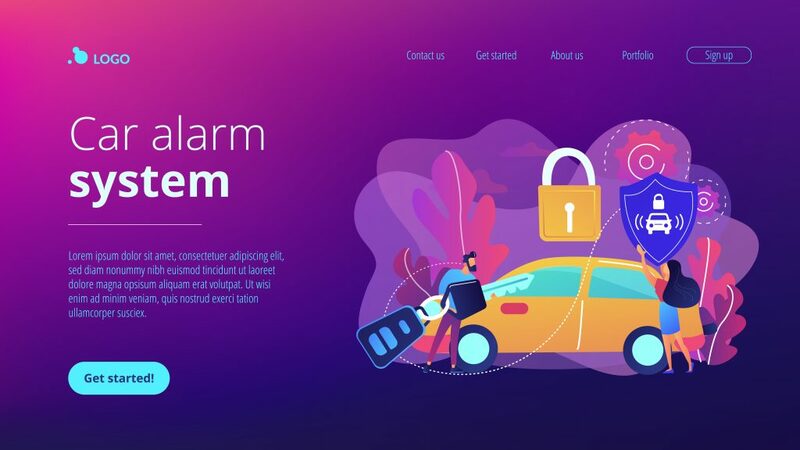 This is an impressive system for someone who wants to be sure their car is safe and who wants the maximum amount of remote control over the alarm and other systems. As you can see, there are several good options, both for one-way and two-way systems, made by a range or reliable brands. 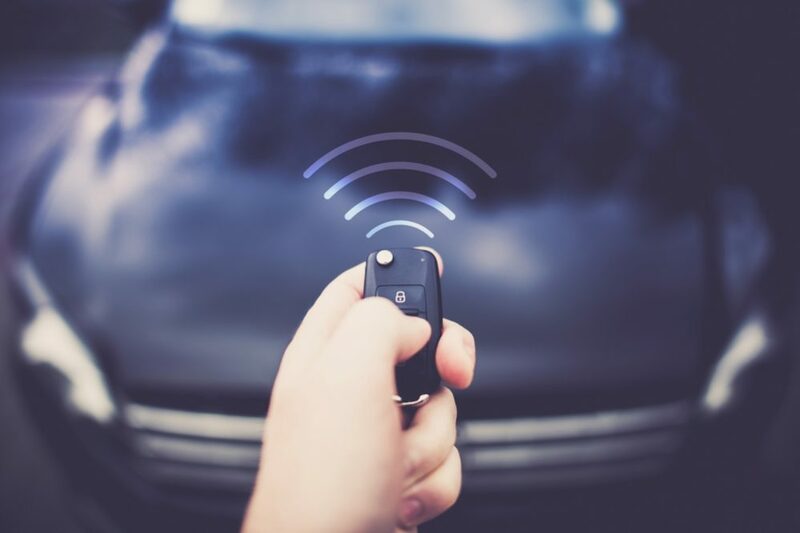 If you want the peace of mind that nobody is tampering with your car while left unattended, installing one of these systems could be a very smart move. 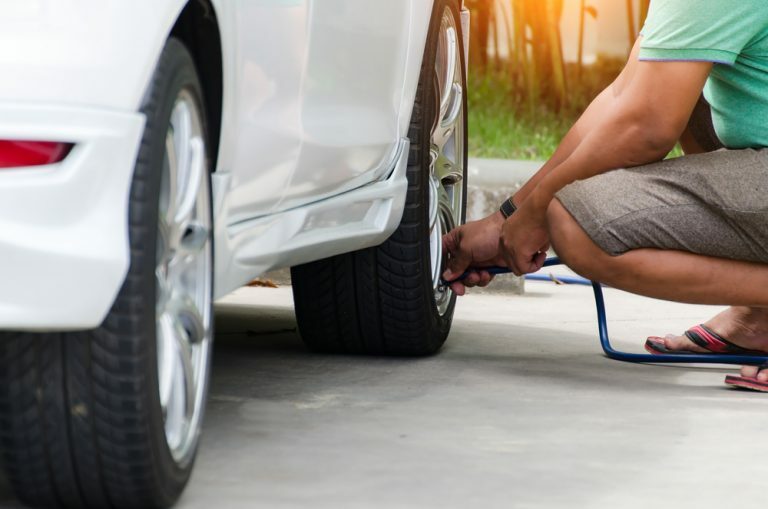 Each year, more than a million vehicles are stolen in the United States with a car stolen every 23 seconds, according to the Insurance Information Institute. The odds of your car being taken were 1 in 171 in 1998, says the III. 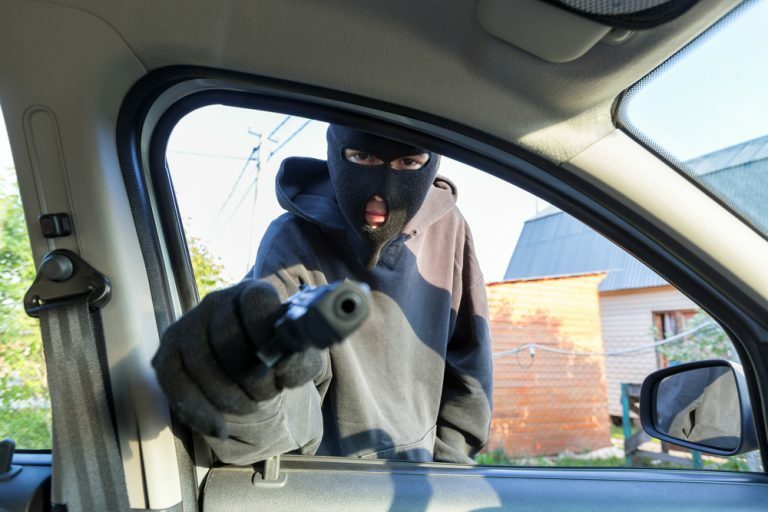 Car thieves, like home burglars, generally have an easy time, made simple by car owners who obligingly leave doors unlocked (in 4 out of 5 cases of auto theft) or who leave keys in the ignition (in 1 out of 5 cases). According to the National Insurance Crime Bureau (NICB), almost 24% of Americans surveyed had anti-theft devices on their vehicles. However, of those with anti-theft devices, 25% said they do not always activate them. Spending money on anti-theft devices doesn’t help if drivers don’t follow the basic precaution of locking their cars, taking the key and activating the anti-theft device they have installed. 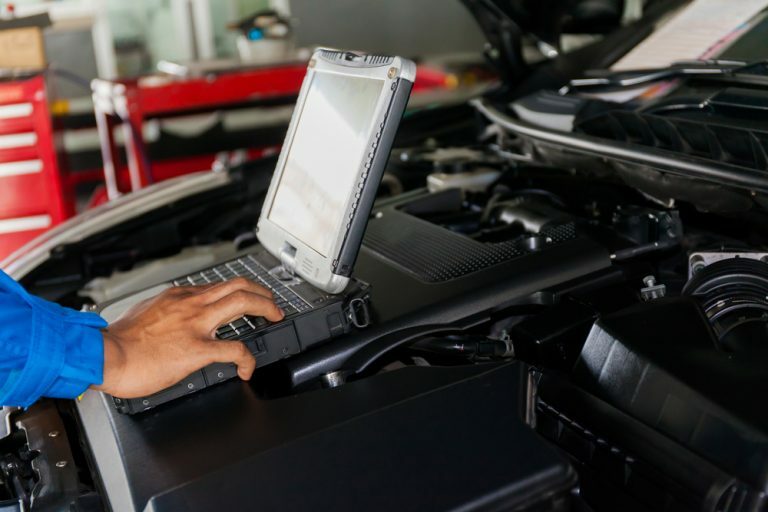 The Electronic Industries Alliance (EIA) predicts consumers will spend over $400 million this year for electronic devices to protect their vehicles from theft. You may not need to spend large amounts of money to combat car thieves in your area; your risk depends on your location. 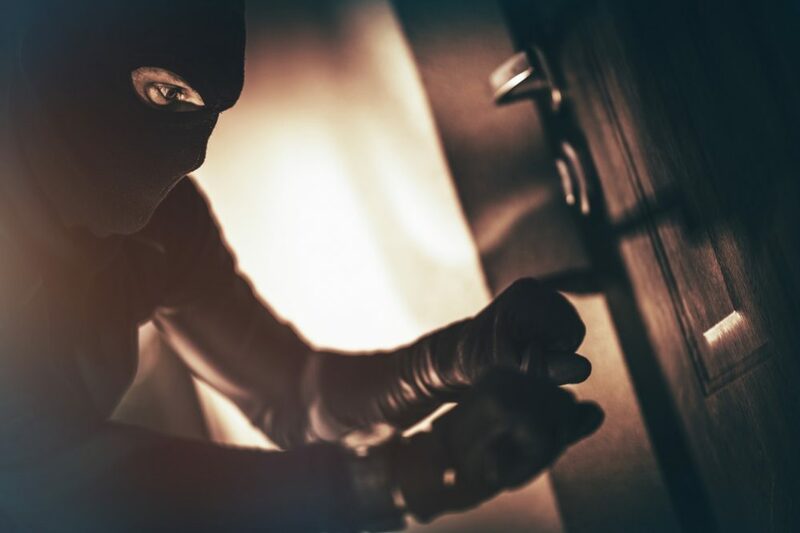 Any combination of the following theft prevention schemes can significantly reduce your risk. 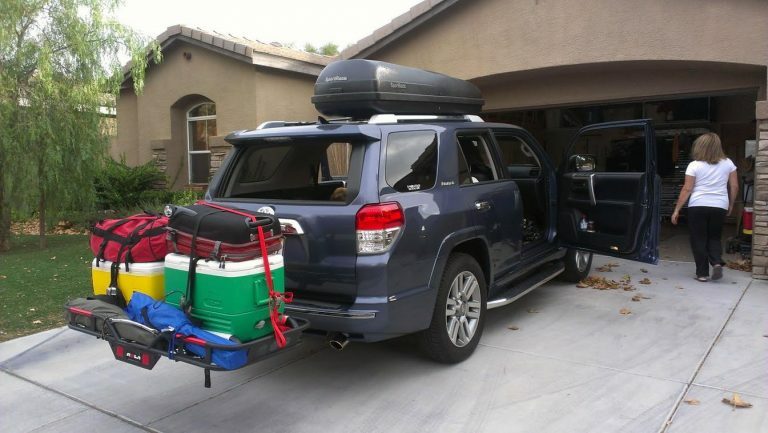 Experts recommend a five-tiered system customized to your vehicle and geographic location (remember your behavior and your location significantly influence your vehicle’s risk of being stolen). The first step is to use good judgment, park your vehicle in well-lit areas, always remove your keys, and lock the doors. The second step is to use an alarm system that has sirens and flashing lights that call attention to a vehicle in the midst of a theft. The third step uses anti-theft hardware like steering wheel/brake pedal locks, steering wheel covers & shields, and armored steering column collars. They can all be custom-installed for your individual make and model. These items will stop most joy-riders, but experienced thieves can quickly dismantle them. The fourth step involves immobilizing devices such as ignition cutoffs, and starter and fuel system disablers. The fifth and highest level of protection involves the use of sophisticated electronic tracking devices such as LoJack. Movement inhibitors may be mechanical or automatic electronic system. Mechanically at least one locking member that can be inserted into at least one inhibitor to prevent at least one wheel from turning by utilizing a long steel bar that hooks and locks onto the steering wheel or by preventing inadvertent movement of a motor vehicle gear shift selector brake interlock mechanism, between a non-drive “park” or “neutral” position, and a “drive” position. Steering columns lock inhibitor for fixed and adjustable steering columns preferably without a shifting function. Shield type devices are available to adjust to fit most steering wheels, one-, two-, and three-spoke. Statistics in Australia (provided by CarSafe) show that 3 out of 4 vehicle thefts are older cars stolen for joyriding, transport or to commit another crime. Immobilizers are fitted to around 45% of all cars in Australia, but only 7% of those that are stolen. In many instances, where a vehicle fitted with an immobilizer has been stolen, the thief had access to the original key. Only around 1 in 4 vehicles are stolen by professional thieves. 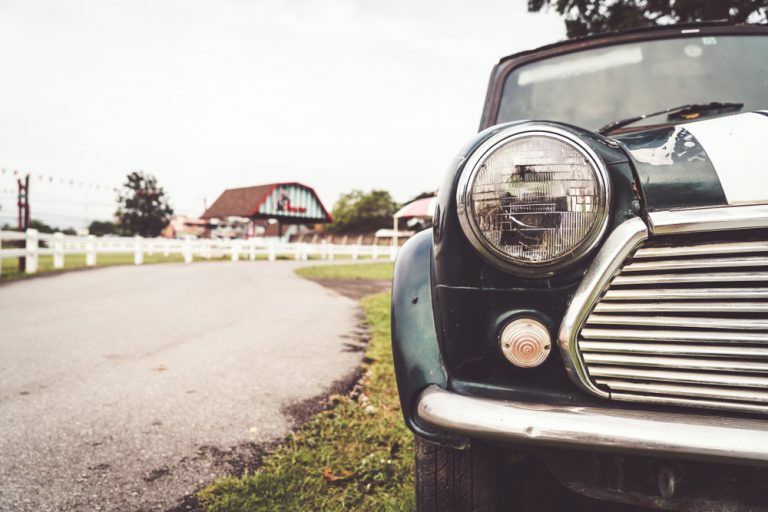 The majority of vehicles are stolen by opportunistic thieves relying on finding older vehicles that have ineffective security or none at all. An engine immobilizer will deter opportunistic thieves. So many types of automatic electronic systems are available in the market. Here are some given. An ARM ENABLE latch and an ARM latch which establishes a circuit arming condition in response to movement of a key operated switch from a neutral to an arming position. Another system is the Power Lock that needs professionally installed on to the starter that will prevent a vehicle from being started and driven away. Passive anti-theft systems (PATS), like Ford’s, patented SecuriLock T” systems; protect against theft by requiring a specially coded ignition key. The vehicle starts and operates only with the key that matches the sensor in the vehicle, thwarting attempts to hot-wire the ignition. An indicator lamp shows the system is working. Other European manufacturers offer electronic keys that contain a transmitter that sends an ID code to the engine management system. If the code does not match, the vehicle will not start. It is interesting to note that both the CCCIS & NICB Top Ten Stolen Vehicle Lists consist entirely of vehicles whose manufacturers don’t offer electronic immobilizer key systems. Pay a competent professional to wire it, install it, and test it. Don’t attempt to do it yourself! There’s too much complexity in today’s vehicles for an untrained person to be cutting into a vehicle’s electronics. There’s a real chance of getting injured if you install the alarm yourself, especially if your vehicle has airbags. One misplaced connection can blow up a computer or accidentally activate your supplemental restraint systems. Find an alarm-system seller and installer who is Mobile Electronics Certification Program (MECP)-certified. 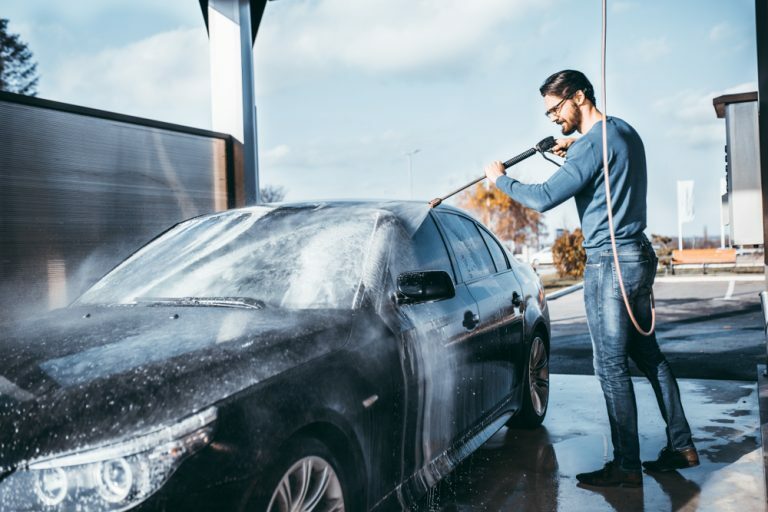 Check with the Better Business Bureau before you take your car in. Look for a shop that is clean and well organized. Ask employees for pictures of previous installations; take a close look at any jobs currently underway. Shops that won’t let you see the installation area are trying to hide something. Installers that do good work are proud of it and are eager to show it off. Finally, once the system is installed, ask the technician to show you how it works, and don’t leave until you’re comfortable with its operation. 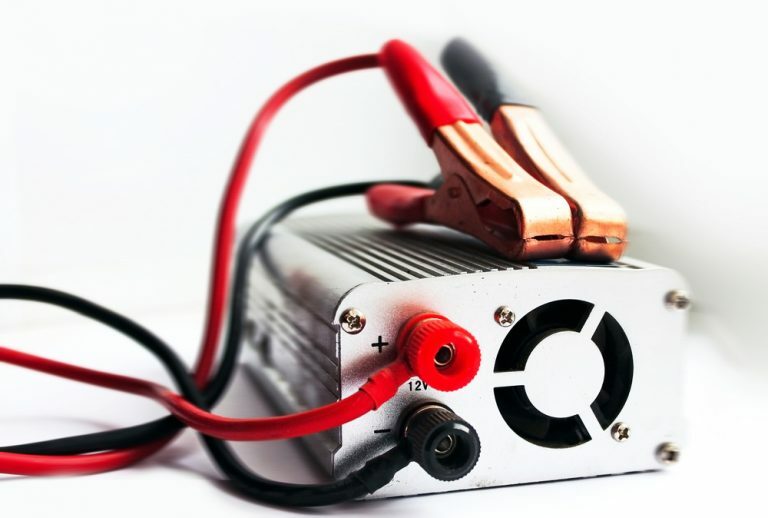 In addition, you should make sure that all of your car’s other electrical functions radio, headlights, and horn, for example, are working after the alarm has been installed. Finally, you want to know the shop’s warranty on its work and get it in writing. There are removable stereos and GPS systems that can be tucked away while a vehicle is unattended, therefore making a vehicle less enticing to a thief. Using GPS or a form of Automatic Vehicle Location (AVL) to allow for easy location of the vehicle. The GPS satellite system was built and is maintained by the government and is available at no cost to civilians. This makes this technology very inexpensive. Other AVL systems do not require the antenna to be in direct line of sight with the sky. Terrestrial based systems such as Loran and LoJack tracking units use radio frequency (RF) transmitters which will transmit through walls, garages, or buildings. Many police cruisers around the world have a form of AVL tracking as standard equipment in their vehicles. Some vehicle tracking systems incur a cost to the user in the form of monthly fees. Companies such as StreetEagle, Track Star, and USAT Corp. bundle mapping software, with hardware, installation and tracking into monthly subscriptions. Other companies such as the LoJack units are paid for upon installation and will continue to work for the life of the vehicle. The LoJack Early Warning System provides a routine entry into the state crime database will find a match between the car’s Vehicle Identification Number (VIN), and its unique LoJack Code. Small radio transceiver then begins to emit an inaudible signal that law enforcement uses to track the stolen vehicle’s location. Another system named Ravelco; a system is installed under or flush mounted in the dash. A removable plug makes all the electronic connections. When the plug is removed, it is impossible to start or run the vehicle. The decision to adopt an active technology based on RF (e.g. Loran), satellite or public carrier (e.g. CDMA) is driven by the quantity of information, the frequency of updates, and the physical environment of the device. For example, a fleet manager may want 5-minute updates, telling whether a vehicle is on or off, or may want 30-second updates tracking engine vitals, brake status, container status, vehicle speed and direction and so on. In an effort to reduce car theft in Central Iowa, AAA Minnesota/Iowa offered free VIN Etchings. VIN etching involves the use of a stencil and glass etching paste to etch your car’s vehicle identification number onto its windshield and windows. This makes your car less attractive to thieves because it means thieves will have to replace the glass (at considerable cost) before they can sell the stolen vehicle. 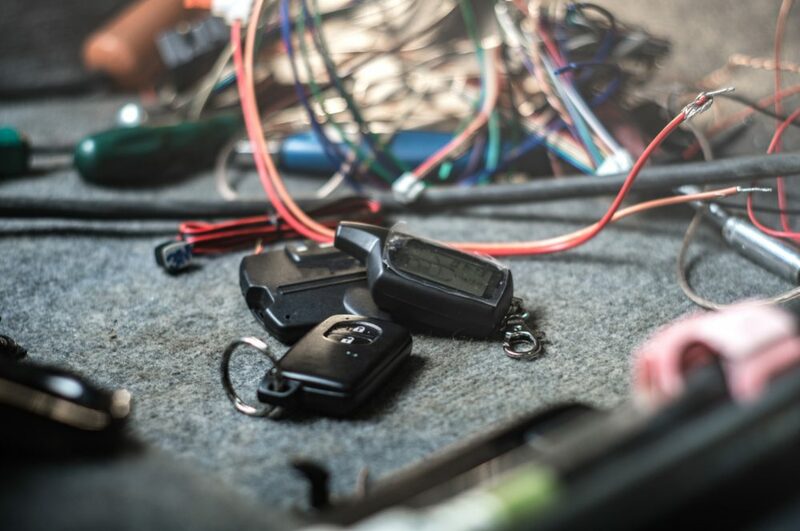 Most motor vehicle theft involves dismantling the vehicle and selling its parts which are not registered and for which there is a large market, or by moving the vehicle to another country, where the local authorities may not be linked to the same database or such protections may not be in place.